NEGROMANCER 2.0: VIZ Media Goes "Behind the Scenes!!" VIZ Media Goes "Behind the Scenes!!" 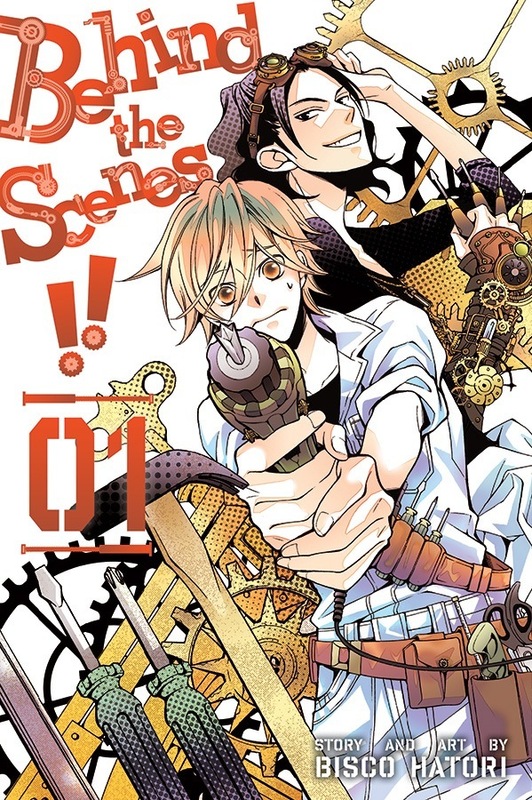 VIZ MEDIA LAUNCHES BISCO HATORI’S NEW SHOJO MANGA SERIES BEHIND THE SCENES!! 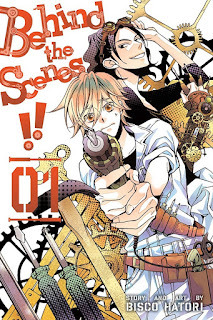 San Francisco, CA – VIZ Media, LLC (VIZ Media), the largest publisher, distributor and licensor of manga and anime in North America, proudly brings creator Bisco Hatori’s dramatic new manga (graphic novel) comedy to English readers with the launch of BEHIND THE SCENES!! on February 2nd, 2016. The new shojo series by the famed creator of OURAN HIGH SCHOOL HOST CLUB and MILLENNIUM SNOW will be published in print and digital editions under the Shojo Beat imprint. BEHIND THE SCENES!! is rated ‘T’ for Teens, and will carry a print MSRP of $9.99 U.S. / $12.99 CAN. The series also launches digitally on February 2nd via VIZManga.com and the VIZ Manga App, as well as from the Nook, Kobo, Kindle, iBooks, comiXology, and GooglePlay stores. Subsequent volumes of the continuing series will be published in English twice a year. In BEHIND THE SCENES! !, Ranmaru Kurisu comes from a family of hardy, rough-and-tumble fisherfolk and he sticks out at home like a delicate, artistic sore thumb. It’s given him a raging inferiority complex and a permanently pessimistic outlook. Now that he’s in college, he’s hoping to find a sense of belonging. But after a whole life of being left out, does he even know how to fit in?! As Volume 1 opens, it’s two months into Ranmaru’s college career, and if he’s learned one thing, it’s that he’s really uncomfortable around other people. But when he stumbles into a zombie mob attack, he’s totally forced out of his comfort zone! Of course it’s just a movie shoot, but when he wakes up from his ignoble faint, he’s been whisked away behind the scenes with the Art Squad! Could this group of weirdos be what Ranmaru’s been looking for all his life?! Bisco Hatori made her manga debut with Isshun kan no Romance (A Moment of Romance) in LaLa DX magazine. Her first full-fledged series was MILLENNIUM SNOW (published by VIZ Media) and she gained widespread acclaim for the comedy, OURAN HIGH SCHOOL HOST CLUB (published by VIZ Media), which became her breakout hit. For additional information on BEHIND THE SCENES!! or other manga titles published by VIZ Media, please visit www.VIZ.com. Image Comics Announces New Series, "The Fix"
VIZ Media Goes to "School Judgment: Gakkyu Hotei"
Dark Horse Comics Announces "House of Penance"
Welcome to "10 Cloverfield Lane"
Image Comics Anounces New Story Arc for "Shutter"
Daniel Clowes Goes on Tour to Support "Patience"
Star Wars Pinball Welcomes" The Force Awakens"